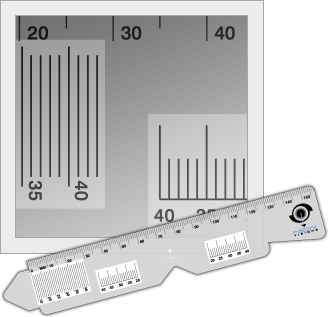 The Pupil Distance Ruler measures the distance between a person's pupils and is used in fitting eyewear. great way to promote optical products and supplies. 7.5" x 1.125" x .030"